Join us in UofL's organic garden for a special workshop on composting and vermiculture with Dr. Brian Barnes! The goal at the Garden Commons is to learn (by doing) how to grow hyper-local, super-delicious vegetables, herbs, and fruits! 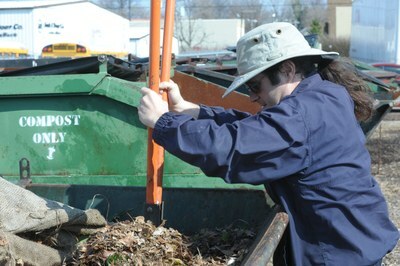 Anyone can work in the garden any time, but we gather together every Friday throughout the spring semester (Jan. 12 - Apr. 27) from 1pm to 2pm to learn, plant, weed, water, and harvest. No prior experience necessary. Tools & gloves provided. The Garden Commons is open to participation any time from students, staff, faculty, and community members. Everyone who comes is welcome to share in the harvest! Connect with us and get all the details on our Facebook Page.